Cataract patients with glaucoma have a new treatment option with the iStent® at D’Ambrosio Eye Care. Massachusetts eye surgeon Francis D’Ambrosio, Jr., M.D. commented on the iStent® Trabecular Micro-Bypass Stent as a treatment option to reduce eye pressure for cataract patients with glaucoma. “We started using iStent® to better help cataract patients with glaucoma. It’s really meaningful as we believe patients will need to use fewer eye drops for their glaucoma treatment and we are hopeful that they might not need to use prescription eye drops at all,” explained Dr. D’Ambrosio Jr.
D'Ambrosio Eye Care is a leading eye care practice serving the greater Boston and central Massachusetts area including providing general and glaucoma care in Athol, Acton, Berlin, Bolton, Boylston, Boxborough, Chelmsford, Clinton, Concord, Fitchburg, Gardner, Greenfield, Groton, Harvard, Hudson, Lancaster, Leominster, Lexington, Littleton, Lowell, Lunenburg, Marlborough, Milford, Shelburne Falls, Shirley, Sterling, Stow, Sudbury, Templeton, Westminster, Westborough, Winchendon and Worcester, Massachusetts. 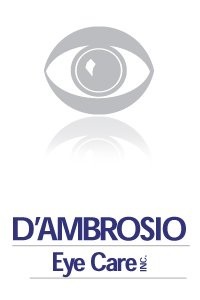 To learn more about D’Ambrosio Eye Care you may visit http://www.dambrosioeyecare.com or http://www.facebook.com/dambrosioeyecare or follow our eye care blog.